Yep, it’s that time again. Prepare yourself for the cringe, then head over to the Muck Rack Blog for everyone’s favorite feature, This month in bad PR pitches. Vladimir Putin had a lot to say in his annual year-end news conference. For one, he says he welcomes Trump’s Syria withdrawal (47,000+ shares), reports Andrew Kramer of The New York Times, and calls it “the right decision,” while many on Twitter are calling it “Trump’s Christmas present to Putin.” “Our allies are angry, our generals ignored, our Congress apoplectic. But, hey, at least Putin’s happy with @realDonaldTrump,” tweets Paul Begala. Or as Clyde Haberman says, “Here’s a sure way to know you’ve really made a wrong decision.” But “Russia's installation of Donald Trump in the White House has paid off big time” (for them), notes Don Morrison. Next up, “What do you do when your local rep has gone to war with the newspaper that employs you, your industry's ailing, and your work has become something that requires active shooter training? If you work for the Fresno Bee, you just keep reporting.” Zach Baron links to his new piece for GQ, The Fresno Bee and the War on Local News. Another question: “What does it feel like when you’re trying to not let the bastards grind you down? A lot like this,” says Jeff Amy. Gabriel Arana links to the news from a “scathing report” by the Illinois Attorney General, Who Says the Catholic Church Withheld the Names of at Least 500 Accused Priests. Laurie Goodstein and Monica Davey have the details in their story for The New York Times, and Carmen Gentile points out, “Any other organization committing this much wrong towards children and Americans would demand the National Guard tear it down brick by brick and haul away the abusers.” “Wrap your head around this number and the torturous pain in its wake,” tweets Al Tompkins. Barack Obama dons a Santa hat and hands out gifts in surprise visit to D.C. children’s hospital (390,000+ shares), and Helena Andrews-Dyer of The Washington Post puts us on the scene. Yesterday we asked: The “Laverne & Shirley” apartment set was recycled from what other iconic show about two roommates? Your question of the day for today is…Rocco the parrot, who had to be removed from a UK animal sanctuary for swearing too much, is in trouble again. What’s he been up to this time? 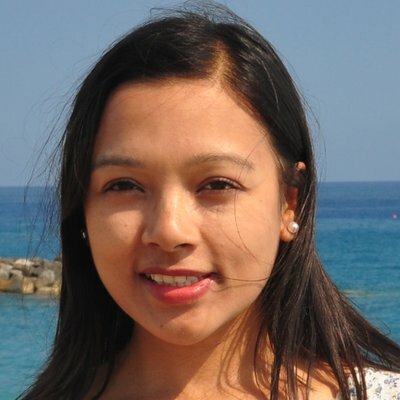 Today’s featured journalist is Rubeena Mahato, a policy analyst and freelance journalist who writes about global politics and development, presenting a Global South perspective on policy debates. She previously worked for the Nepali Times, and her writing has also appeared in the South China Morning Post, The Kathmandu Post, The Daily Star (Bangladesh) and elsewhere. She says that to be a journalist is “To be unafraid and to ask difficult questions to those in power. To tell stories that inspire, uplift and challenge.” Find out more and check out some of Rubeena’s work here.